You may have seen the excellent film based on this book. It starred Ian McKellan as the old guy (and that was 13 years ago) and Brendan Fraser as his hunky friend... back when Brendan Fraser was still the Brendan Fraser who made George of the Jungle watchable, and not the doughy-faced mess that made Furry Vengeance not (though, to his credit, nothing could have really made Furry Vengeance watchable... unless it was just a series of kittens rolling around, followed by clips of furry puppies trying to chase their tails... and it would have been re-named "Youtube." I don't read biographies or memoirs or autobiographies as a general rule. But rules are made to be broken. And Julie Andrews, excuse me Dame Julie Andrews is certainly on my list of people I would break that rule for. So when I spotted this book I snatched it up and ran. I've heard a great deal about Allende, but I've never read her work. I have no idea if this is the place to start, but I figured I'd pick it up and try it out. I've heard both good and bad about this last title. I haven't read any of Tartt's work. Any thoughts? Is this a good place to start? What a great week in books! It'll be hard to decide which one to read first. They all sound good, enjoy! The Isabelle Allende should be good. Have a wonderful week, Lauren, and enjoy your new books. 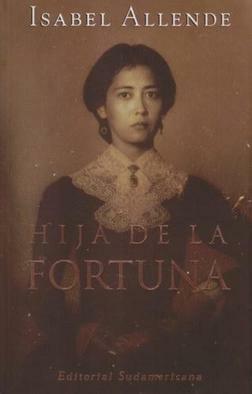 I loved Daughter of Fortune. Your comments about Brendan Fraser cracked me up!!! Enjoy your books and I hope your week is great! I've always enjoyed Julie Andrews so I hope you enjoy the book! These all look good! I hope you enjoy them all. I don't think you should start with The Little Friend. The Secret History is a lot better. TLF is a good book, but there's something about it, which I cannot say because that would spoil it, that is extremely frustrating because of how the book is presented/marketed. Without revealing too much, I'd say think of it more like a southern gothic coming of age story... Overall it's slower than TSH. 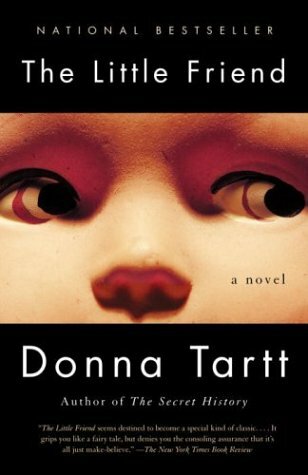 Tartt mostly chooses to go back and forth between the protagonist/her family and this crystal meth addict family. And while I understand her choice, the crystal meth family sections are just not that interesting.